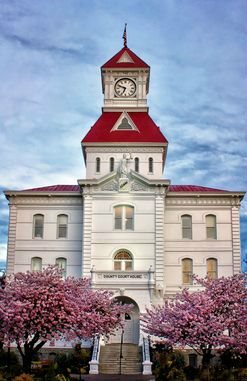 Benton County is the smallest County in the State of Oregon, but it makes up for size in spirit. 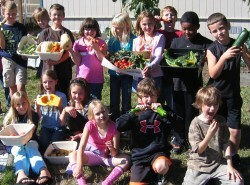 Corvallis makes up approximately 65% of the population of the county. Approximately 18% of the Benton County workforce commutes from the neighboring Linn county. 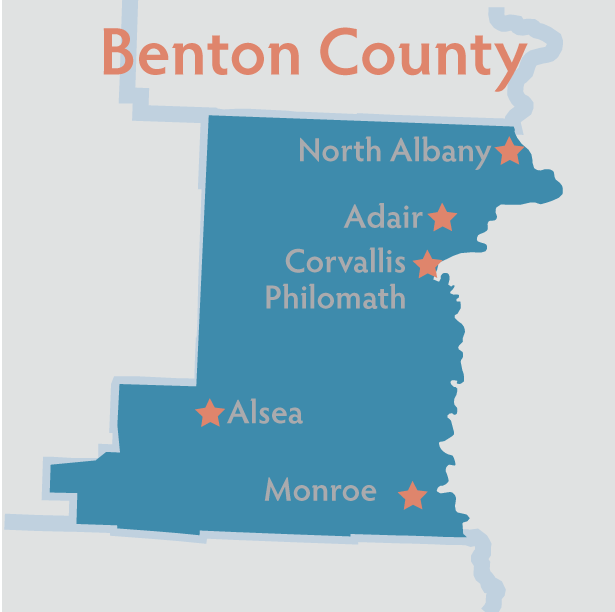 Benton County has a comprehensive Website with excellent information in easily navigable form. Benton County’s population is approximately 85,000. 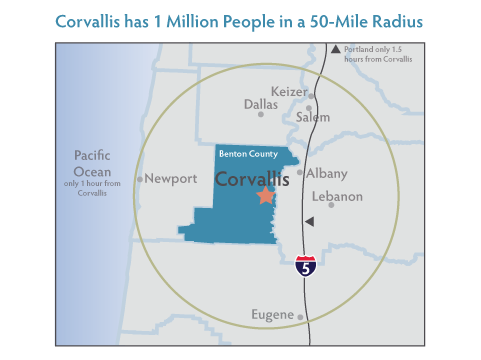 Corvallis makes up about 65% of Benton County’s population. Corvallis’s population within its city limits is over 50,000 and growing. Oregon State University has a student population of approximately 25,000 FTE students. Two and three bedroom homes in the Benton County area are usually available for rent or purchase. The bulk of rental housing, depending on size, location and quality will range from $800 – $2000 per month. Benton County’s year round climate is mild. Winter months are generally mild, with an average annual rainfall of 40 inches. 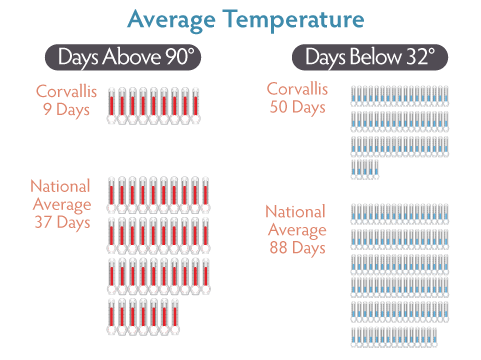 Average temperature during winter months is 58 degrees while summer months are mild with an average temperature of 78 degrees. Humidity is generally low with most rainfall occurring from November through May. Snow is unusual on the valley floor, averaging one inch or less per year in Corvallis.